Despite the emergency decree imposed on January 22, the massive anti-government protest continue in Bangkok. 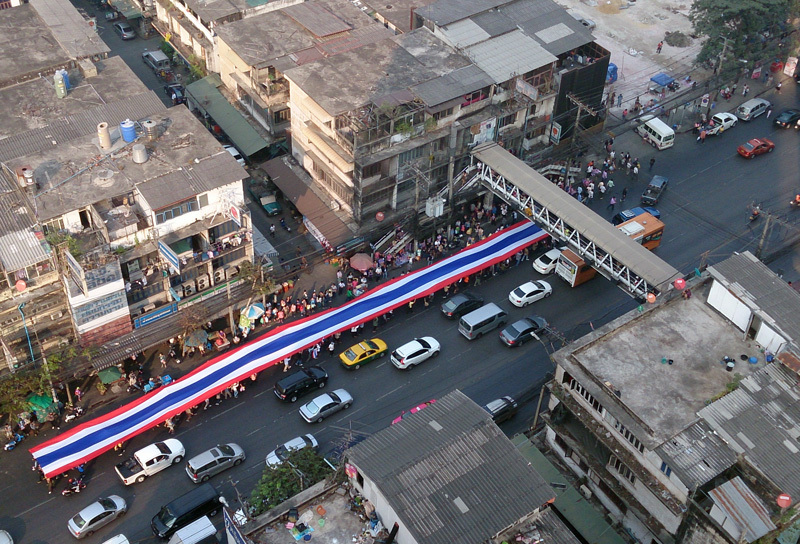 Protesters marched again on January 25 across areas of the city, blowing whistles and carrying huge Thai flags. They were led by protest leader Suthep Thaugsuban, who the evening before held another speech at the protesters main base on Pathumwan intersection, repeating his demand Prime Minister Yingluck Shinawatra step down. 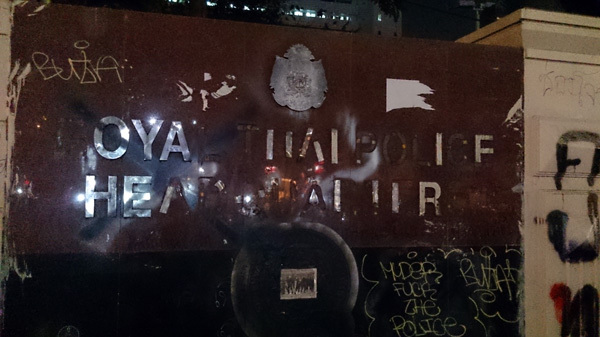 Although there is an emergency decree in effect that in theory prohibits people from gathering in certain areas, no police showed up to disperse the protesters. No-go areas have been busy with protesters as well as other people and tourists as usual. One of the few heavily guarded area is the nearby Sra Pathum Palace on Phayathai road, the residence of princess Maha Chakri Sirindhorn. Meanwhile, Thailand’s Constitutional Court has ruled that the polls planned for February 2 can be rescheduled. The caretaker government of Yingluck Shinawatra said it would agree to postpone the elections if the protesters stop their campaigns. Upon concerns voiced by the US that the protests might run out of control, Suthep has sent a letter to US President Barack Obama, affirming non-violent campaign of the his movement to fight against a “corrupt and dictatorial regime”. Suthep said in the letter that it was a pro-democracy movement and he wrote the letter to respond to questions of the international community. Also on January 25, ore than 3,000 rice growers blocked the Asian Highway in Nakhon Sawan province to pressure for immediate payment for their rice pledged under the government’s rice scheme. The farmers said their protest is aimed at showing their difficulties to the government. They complained that they have no money for daily expenses as the government failed to pay for the pledged rice for several months. The farmers demanded the government send its representative to accept their petition at the rally site and threatened to intensify their rally, if the demand is not met.